The alphabet is a big learning milestone for most kids. Sometimes though, remembering the proper order of letters can be quite daunting. 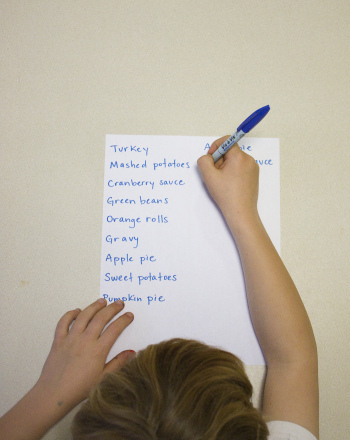 Help your child learn alphabetical order by making a food list in this fun Thanksgiving activity. 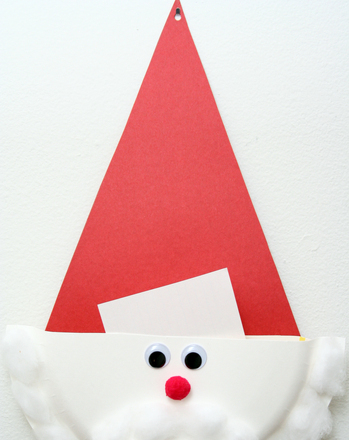 Using the ruler and marker, help your child divide the paper in half lengthwise. Then, still using the marker, on the left side of the paper she should write out a list of 20 different food items commonly found around the table on Thanksgiving. Some examples we came up with include: turkey, gravy, cranberry sauce, mashed potatoes, and pumpkin pie. Once her list is complete, she should slowly sound each word out, placing emphasis on the first letter of each food. Then, she should use the marker to write the foods in alphabetical order in the right hand column. Encourage her to sound out each word as she figures out its correct placement. Freshen up your spring schedule with this handy to-do list, great for helping your child stay on track with his schoolwork.